A first edition, first printing published by The Star Publications in 1935. 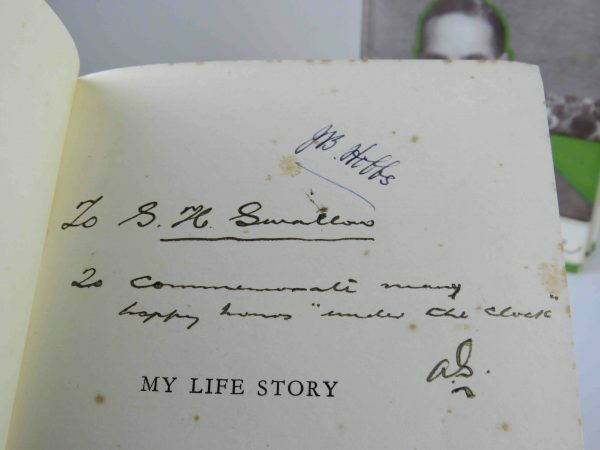 A very good+ book SIGNED by Hobbs without dedication to the half-title page (above a gift inscription) and to the full portrait also. Some spotting to the page edges. In a very good+ dust wrapper which has a repaired to a large closed tear to the front panel. Some rubbing to the edges and a little chipping here and there. Very rare double signed by the great man. 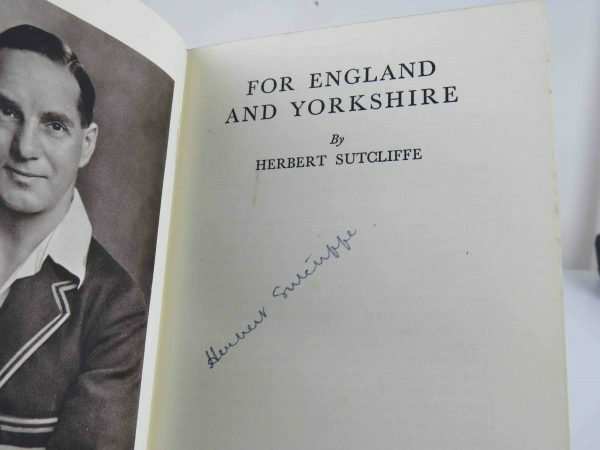 Sutcliffe first edition is signed without inscription to the title page. Small gift inscription to the front endpaper. A near fine book in like unclipped wrapper. A rare opening partnership!